From the “LAURA” the golden sands stretch out towards the white cliffs at Speeton. 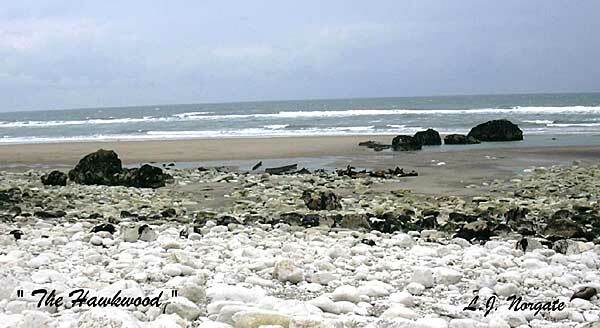 As you get nearer to the end of this stretch of beach, you should see a number of large rocks ahead. Two of the largest are known as “King & Queen” rocks, in between which lies the wreck of the “HAWKWOOD”. 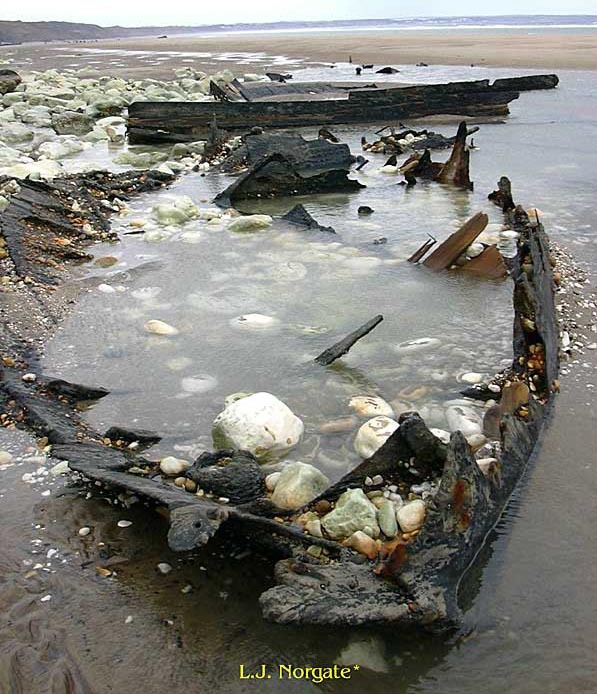 This vessel ran aground in heavy seas on Sunday 12th January 1913, and was determined to have been abandoned, as no sign of the seventeen man crew could be found. Today the wreck is usually covered by a layer of sand, remaining invisible to the passer by. Occasionally the sand is washed away enough to reveal a brief glimpse of the wreck at low tides.